These treats are moist and soft and small, which makes them a great treat for hiding pills/medication in. They’re also shelf-stable ingredients, so you can keep a batch at the barn. Preheat oven to 300 degrees and grease mini muffin tins. Spoon your mixture into your mini muffin pans. Bake for 1 hour. Keep a close eye on them as they can burn. Let cool in the muffin tin for a few minutes before you turn out onto a cooling rack to completely cool. Store in a sealed container. Makes about 3 dozen. Oooh, great tutorial! I'll have to put these on my list of things to do. I'd take the sweet feed out if you want to eat them yourself. Ooo those look good! Definitely a fun winter project. 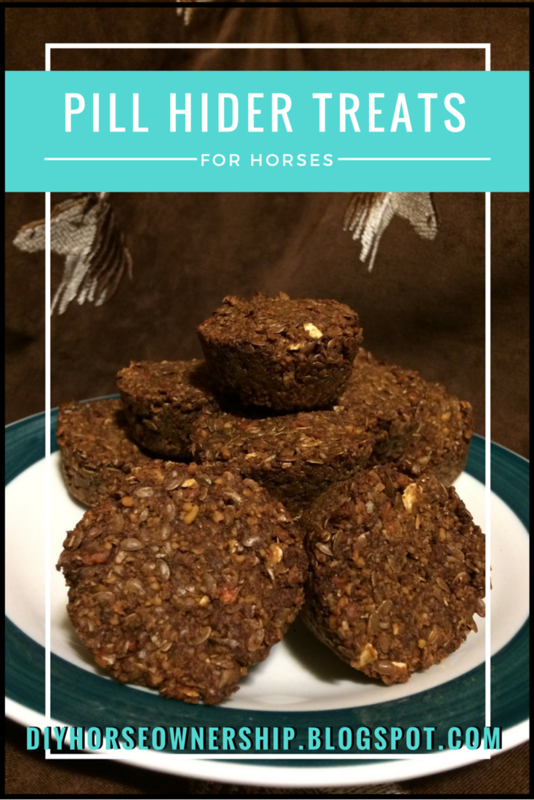 I love that they're okay to leave at the barn, I always resist baking horse treats because of the fear that they will go bad. I made some similar to these last winter and Bobby absolutely went crazy for them. I like the idea of the mini muffin cups. Definitely doing that next time! They won't last forever as they don't have preservatives. But they'll last a month or two so long as sealed. Yes they love them. Like horse crack.